The Penbbs 456 fits into my category of amazement at things that have happened in the last decade. You can buy a computer that fits in your pocket; communicates quickly and cheaply with almost anyone on the planet; shoots and edits high-quality photos, video, and audio, and then broadcasts them. For about $100 you can host a beautiful website that communicates news, information, or rich media content; sells products; and networks people together. You can communicate with your family and friends while youre a passenger in an airplane. Heres another amazing thing. 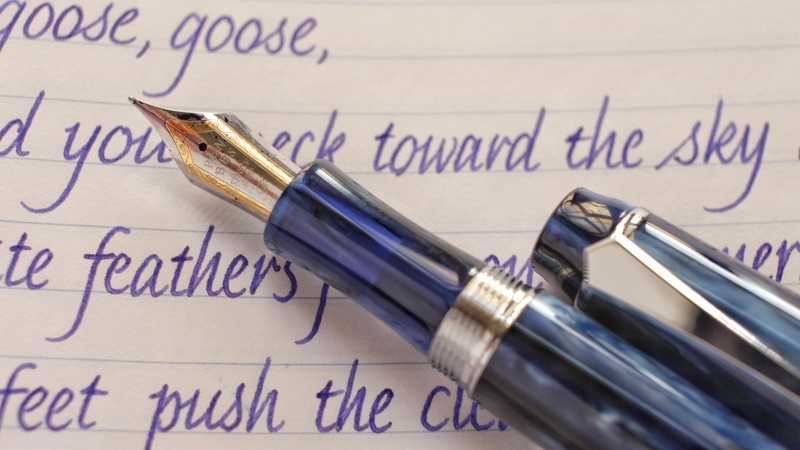 For $40 I can buy an elegant fountain pen in an obscure vacuum filling system, made precisely from a lovely acrylic by people who really like fountain pens, and it writes beautifully. This is what I enjoy about the Penbbs 456. The galaxy acrylic material is refined and simultaneously dramatic and understated, and actually lives up to its name. The nib is juicy and smooth, and even though fine nibs are not my favorite size, this one is so good, and places ink so precisely, that I dont want to replace it. The pens weight and proportions fit the Goldilocks criteria for my hand, not too big or too small. The build quality is impressive and thoughtful, with metal reinforcement at locations where there is a higher chance of breakage, like the end of the cap, and the intersection of the section, the barrel, the cap threads, and the vacuum seal-break position. The clip is milled, not stamped, in an elegant sword shape, in what appears to be stainless steel. The pen is $40, shipped to my home. A subtle and clever detail that shows self-understanding: the cap band is stamped SHANGHAI. Not China. There is magic, lore, legacy, and value in one of Asias most fascinating cities. Heres what I dont like: the mirror polish on the clip attracts fingerprints. The end cap that operates the vacuum filler is machined so precisely that I worry about the threads stripping. The pen is offered in only two nib sizes, fine and medium. 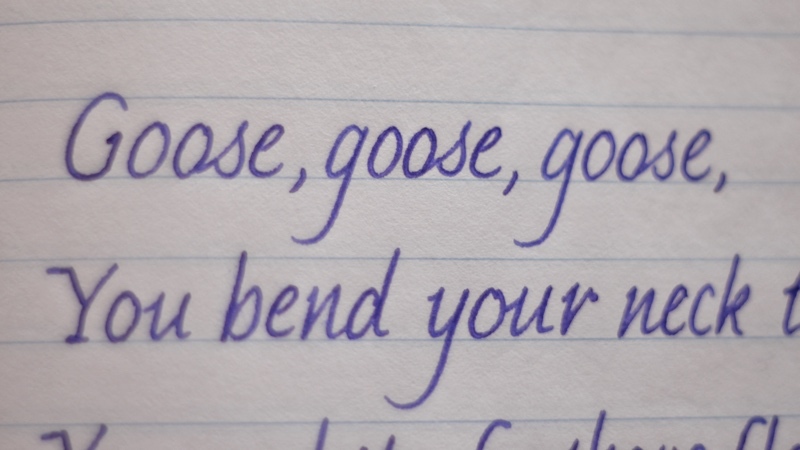 If I want an italic nib, I have to order one from somebody else, take the risk of messing up the feed, and hope that it fits. On the other hand, I could buy a TWSBI Vac 700, choose whatever nib I want, and have it shipped to my home for about $65. With any nib other than medium or fine, its about the same price. In comparison to the Penbbs 456, the disadvantage is in the limited choice of materials and the awkward and oversize design in the Vac 700. 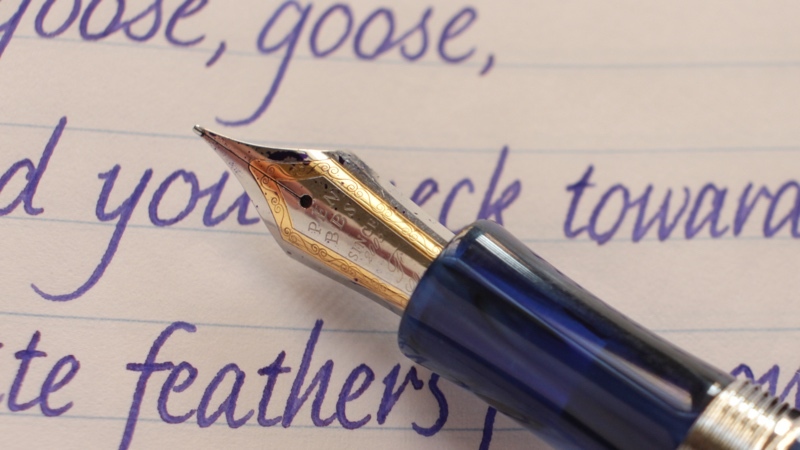 The Vac 700 is clunky, and I can guarantee you that the material doesnt look anything like Penbbs galaxy. On the other hand, TWSBI customer service is spectacular. And for a person like me, who is fascinated by the stories behind pens, its difficult to learn more about the thoughtful people behind Penbbs. What do I know about Penbbs? 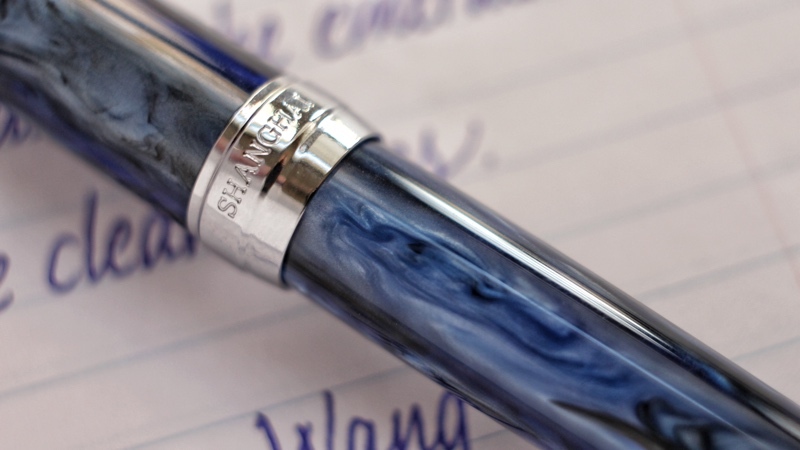 It was created by fountain pen enthusiasts who operate the Chinese discussion forum equivalent of Fountain Pen Network. They also make ink, and theyre in Shanghai. Somebody named Long is important in the organization. One of their key distributors for the West, Beini Zheng, runs a fun Instagram account and really likes make-up. She owns two cats named Amber and Niangao and occasionally convinces Penbbs to name pens after the cats. And one cat ... heres the really fantastic part ... has a nib with an inscription. Amber is a cat. Its impossible for me pass on a pen in an elegant amber acrylic, named for Beini Zhengs cat. 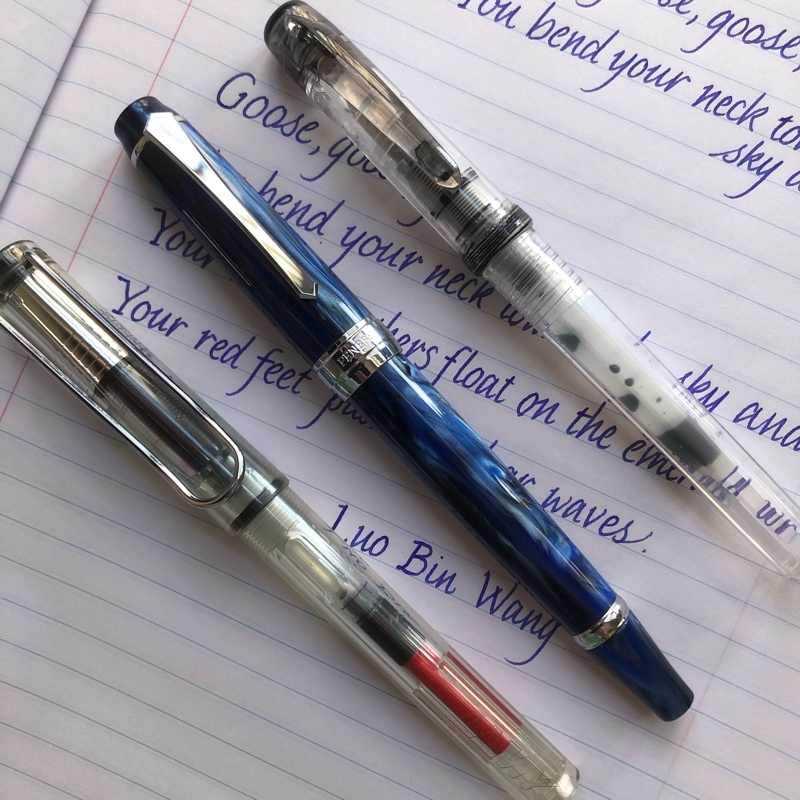 Advisory to Penbbs: keep the cats and the clever nib inscriptions, keep pushing Shanghai, and help people outside China learn more about your story. The Penbbs 456 is about the size of a Lamy Safari or Platinum Preppy, but a little heavier. 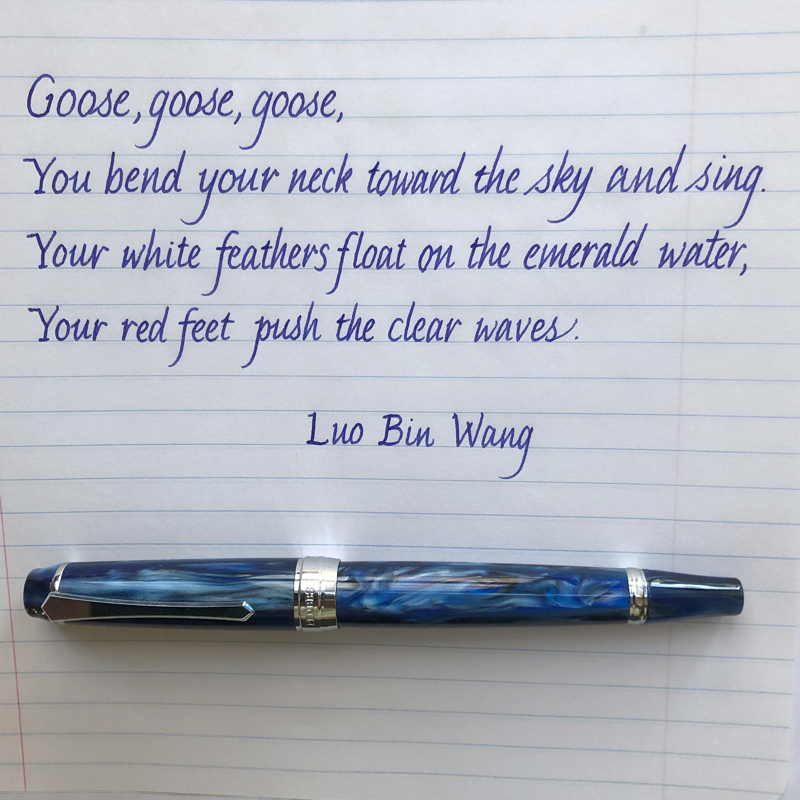 Chinese poetry for a Chinese pen. The ink is Sailor nioi sumire. I dont know why, but my tablet doesnt want to insert apostrophes. Perhaps this is an eccentric quirk, like a typewriter with a lumpy lower-case j.
looks like you're pressing into the page a little bit - is it a bit dry when you aren't pressing down? Is the galaxy transparent at all? I think the vac filler on the 456 is more precisely machined than the TWSBI. but the TWSBI is more resistant to drying out (the 456 will dry out after about two months if left inked and the tail unscrewed) and TWSBI has a vac fill ink bottle just for it. but the TWSBI can't be posted appropriately either. the two trade blows all day. I couldn't choose a winner if you put a gun to my head, but I think, stock for stock, it'd probably be the 456. Also, I think they fixed the weak feed issue. only a few pens had that problem about a year ago. Edited by Honeybadgers, 06 January 2019 - 23:46. Yes. But not very. The pearlescence of the Galaxy is visible in layers, so it shines from one angle, and then again if you rotate the barrel 180 degrees. If you hold the pen so that you're looking between the layers (so rolled 90 degrees from the pearlescent viewing angle) either in front of or under a light source, you can barely make out the reservoir. It's enough to get the general impression of how much ink you have left, but it's not great. Oh! And it makes it much easier if you use a light source closer to blue in the spectrum than warm colours. I've got an LED desk lamp with variable light warmth and brightness, and I shift it over to blue and as bright as it goes, and I still have to nearly touch the pen to the lamp to check ink levels in the evening. Edited by JollyCynic, 07 January 2019 - 00:30. Badgers, the nib is fairly wet when I'm not pressing down. 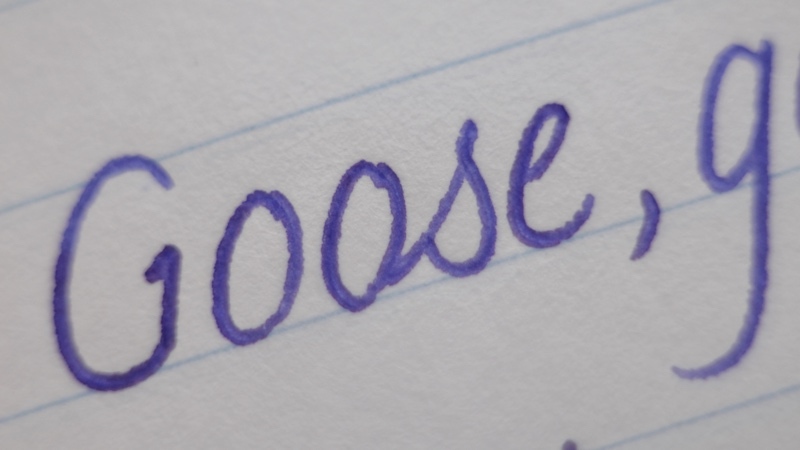 What you might be seeing in the macro photos is one stroke in the letter form aligned on top of the first stroke. The nib controls the ink placement remarkably well. Like JollyCynic, I'm not able to see through the galaxy material very well. I agree with most of your review. 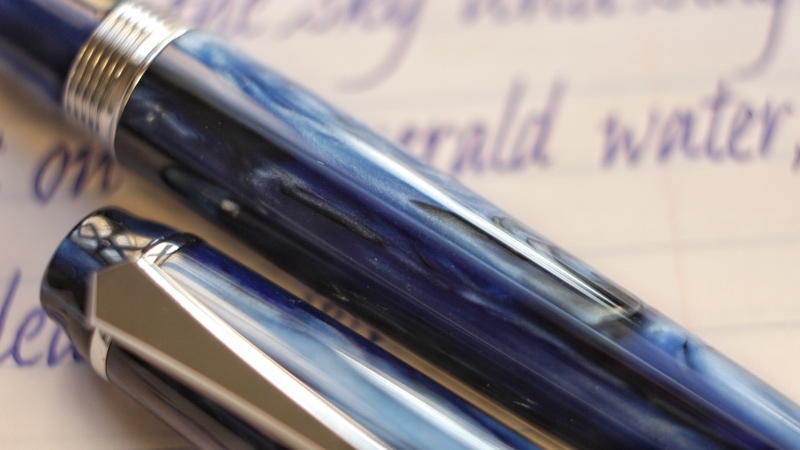 I have the transparent blue 456 that I swapped a TWSBI #6 B nib into. I like the 456 much better then my vac 700r The colors of acrylic available change all of the time and they sell out fast. From what I've seen PenBBS makes a quality pen for the money. There are not pens named after Beini's cats but are acrylics that are available as special editions on many PenBBS models. I've seen at least four different models in Niangao acrylic. Actually one of these days I want a pen in that acrylic. I almost bought a 323 in it. How does the #6 TWSBI/Jowo fit into the pen? Very nice informative review Bobje. Thanks for posting. I am new to Penbbs pens and have only one a 309. I was pleased with the quality of the pen for the $26 and have ordered a couple more. But I had no idea of the origin of the company or the people behind it. Now it makes sense. Again, thanks for the enjoyable review.